FRANKFURT (Bloomberg) -- Continental said it may end a battery cell joint venture with South Korean partner SK Innovation Co. because of slower-than-expected growth in demand for electric cars. Continental, Europe’s second-biggest maker of car components, wrote down 77.9 million euros ($97.4 million) of the venture’s value in the third quarter after discussions on the financial viability of the partnership, which also faces competition from consumer-electronics manufacturers. The German company plans to decide on the future of the battery-cell business by the end of 2014, Schaefer said. Demand for battery-electric vehicles has developed more slowly than manufacturers have expected. Carlos Ghosn, head of French carmaker Renault and Japanese partner Nissan Motor Corp. and an adamant proponent of the models, dropped a goal last year for the companies to sell a combined 1.5 million electric cars by 2016. Battery-powered vehicles will probably account for just 1 percent of the global car market by 2020, compared to 0.3 percent predicted for this year, according to estimates by research company IHS Automotive. Continental and SK Innovation started working together in 2012 to develop, produce and distribute lithium ion battery systems for cars. The companies agreed in 2013 on a joint investment of 270 million euros over five years. Competitors include South Korean manufacturer Samsung SDI Co., which has a deal to make batteries for BMW Group. 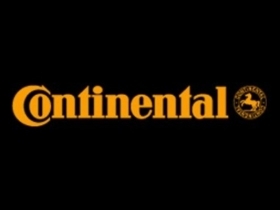 Continental reiterated a full-year forecast that earnings before interest and taxes, excluding onetime items, acquisitions and disposals, will total 11 percent of sales. Third-quarter EBIT on that basis fell 6 percent from a year earlier to 962 million euros while revenue advanced 4 percent to 8.67 billion euros. The adjusted operating margin narrowed to 11.3 percent of sales from 12.2 percent.